Houjicha (ほうじ茶) is a roasted Japanese green tea. The roasted flavor is sometimes to compared with coffee and hojicha is often served at breakfast. Since the caffeine content is low, it can be easily be enjoyed in the evenings, unlike other green teas. Note that the romanized name will be spelled as "houjicha" (more accurate) and "hojicha" by tea sellers in Japan as well as those in the west. Houjicha quickly gained popularity after it was introduced in the 1920s by tea merchants in Kyoto who began roasting green tea with charcoal. This made use of parts of the tea plant that might otherwise go to waste after harvesting. 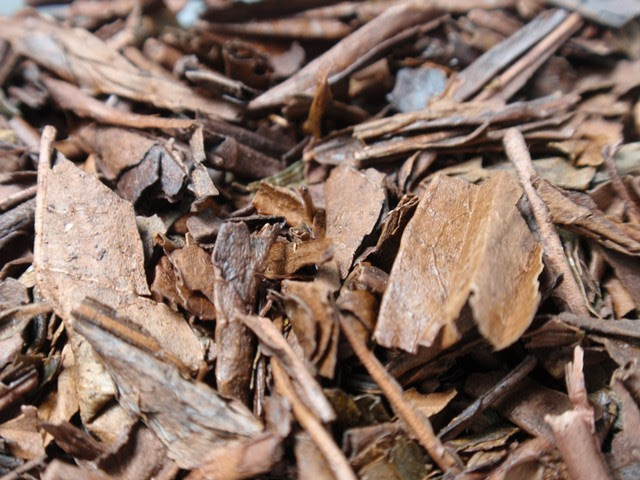 Houjicha is most commonly made from late-harvest bancha, though it can also be made from twigs and stems to produce kagaboucha (加賀棒茶), houjiboucha (ほうじ棒茶), and houji-kukicha (ほうじ茎茶), as well as from early-harvest sencha. Asairi Houjicha (浅炒りほうじ茶) is lighly roasted, retaining some of the original green color and flavor. For culinary use, there is houjicha powder. Heat water to 175°F/79°C-185°F/85°C and steep for 1-2 minutes before serving. Roasted leaves weigh less, so more leaves may be used than with other green teas. Since houjicha is mellow and low in astringency, it's safe to experiment with longer steeping times.